9 avril 2010 — Next month, Israel is expected to join the prestigious organization of developed economies, the Organisation for Economic Co-operation and Development (OECD). Although the OECD claims to be an organization of democratic countries, in the past year it has accelerated efforts to invite Israel to become a member, despite Israels numerous violations of international law and military occupation of the Palestinian and Syrian territories. Israel seeks membership in the OECD vigorously, as it would be a powerful affirmation of international legitimacy to Israels policies. In this interview, economist Shir Hever of the Alternative Information Center (AIC) reviews the dangers should Israel be permitted to join the OECD and outlines what international activists can do to stop the international community from awarding the prize of OECD membership to Israel. 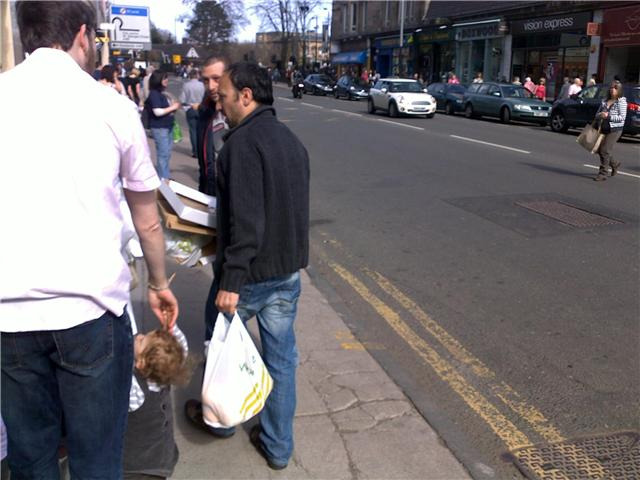 On Saturday a couple of zionist’s organised a pro Israel picket on byres road in the west end of Glasgow unexpectedly. 7 comrades from the Scottish Palestine Solidarity Campaign (SPSC) were out anyway to setting up a boycott Israeli goods stall. The zionists dreadful attempt was to distribute free Israeli produce. However after 3 hours they gave up distributing free fruit which only reaching the single digits. This is the result of the strong intervention of our activists who stood their ground, till the Israeli Zionist activists left. The police turned up and left after a while knowing we were peaceful. The Zionists admitted it would have been easier to distribute the free fruit if we weren’t there. Many individuals accepted the free fruit but our activists explained to people the true origins of the fruit and many people returned the free fruit to the Israeli’s embarrassment. On numerous occasions members of the public gave the fruit to our activists who delivered it back to the Israeli activists. While walking to the Israeli’s fruit box to give back the free fruit our peace activists exclaimed loud, so many people on the very sunny busy byres road turned their heads learning that these formerly deceived members of the public would’nt accept these free fruits of oppression from stolen Palestinian land. The fruit’s were dropped from high above crashing, creating a loud thud when it landed in the Zionists produce of Israel box. Their faces said it all. Despite their lame attempts to convince people it’s low cost and high quality for themselves to buy whenever. In case you didn’t know, in Britain the Holocaust is part of the National Curriculum. Thanks to the ‘The Holocaust Educational Trust’ our children are guaranteed to learn how bad the Nazis were. This is probably much easier for our kids to acknowledge than to look into the ways in which the embarrassing legacy of the British Empire reverberates throughout almost every contemporary disastrous conflict on this planet. It is deemed far easier for our kids to learn about Anne Frank than to absorb the fact that Britain is directly responsible for the robbery of Palestine and the Palestinian ordeal. Learning about Auschwitz is also far easier than accepting the devastating reality created by Britain’s latest illegal wars in Iraq and Afghanistan, a colossal crime which has cost more than 1.5 million innocent lives so far. Thanks to The Holocaust Educational Trust we can brush history and our current crimes aside. Learning about the bad Nazis is far easier on our children than learning about the complicity of Britain in the holocaust. I guess that toughening British immigration laws to stop Jews escaping to Britain in the 1930s is not a prominent chapter in our kids’ text books. An Egyptian woman victim of a triple bombing in Egypt's Sinai resort of Dahab, 24/04/06. Thirty people were killed, twenty eight of them ordinary Egyptian workers. Why is 'al-Qaeda', a Muslim terror organisation dedicated to defending Middle Eastern Arabs from Western agression, attacking ordinary Middle Eastern Arabs? Why is 'al-Qaeda' attacking and killing the traditional enemies of the state of Israel? One day after Osama reminded us all that he is still a threat to the entire world (and quite possibly the known universe), as if by magic, three bombs explode in Egypt’s Sinai resort of Dahab, killing 30 people and wounding dozens more. Only two of the dead were foreigners, the rest were ordinary Egyptians workers, which is simply more proof that Osama really is a nihilist and al-Qaeda have forsaken their Islamic ideology and just want to kill. Anyone will do; Arabs, Muslims, Jews, Papua New Guineans, Americans, primates, all are fair game in al-Qaeda’s struggle to destroy not just Western civilisation but ALL civilisation on the planet, it seems. Initially, a Dubai based news agency quoting “intelligence sources” said that two suicide bombers were involved. How they came by this information is not known. Later however, Egyptian security sources said that it was unlikely that suicide bombers were involved. The simple fact is that, without a detailed forensic examination of the scene, there is no way to tell whether an explosion in a packed restaurant was the result of a bomb attached to a person or just to the table at which a person was sitting. In both cases the result is the same: body parts and fixtures strewn everywhere. Did you witness this arrest/see this man? Several years ago, I introduced the idea of a Nakba commemoration to my progressive synagogue in Philadelphia. The response was a stunning barometer of the work ahead. “It’s too bad the Nakba has to fall on Israel Independence Day. That’s The Day for celebrating the Jewish state. It’s not a day to talk about Palestinians.” Fast forward six years: an orange flier neatly tucked inside this month’s synagogue newsletter is headlined “Yom Ha’Atzma-ut al Naqba Commemoration” on April 16, 2010. The winds are shifting, but the sailing is by no means smooth. Just yesterday attending a congregational bat mitzvah, I inadvertently seated myself among the pro-Israel camp. Greetings were strained. I like these people. Prior to my coming-out as an anti-Zionist, they liked me too. 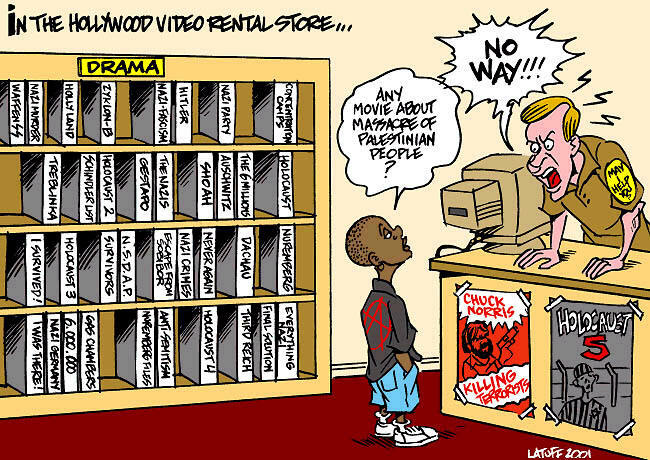 Now I am seen as one of “those people” who insists on bringing up the “N” word each year as we plan for Yom Ha’Atzmuut (Israel Independence Day). Like many Jews, even within the progressive community, my co-congregants may know but refuse to talk about the “N” word. The Nakba, or “catastrophe,” names the Palestinian experience in 1948. Expulsion and transfer from their homes in historic Palestine allowed for the creation of Israel as a Jewish state. Simply put, the Nakba was and is the dark side of Jewish statehood.